Security and Safety is the major concern of every institution. The college Campus is well secured as it has been covered by the compound walls on all the four sides. A strong gate is provided at the main entrance, which is being guarded by trained security guards for 24 hours. Security guards will be on 'rounds' for the whole day and night. Fire and Safety measures are installed in the campus. A certificate has been obtained from Tamilnadu Fire and Safety services. Awareness programs were conducted by Tamilnadu Fire and Safety services. 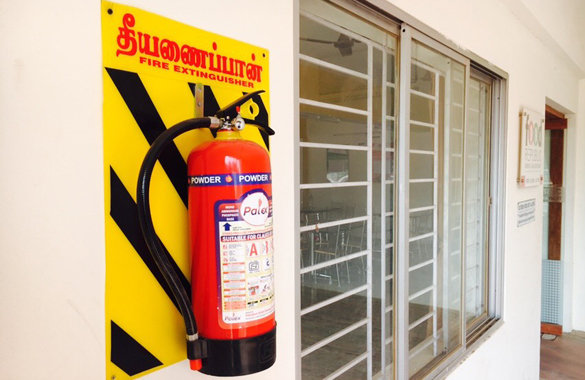 Fire extinguishers are installed at various places in all the floors, laboratories, workshop etc and are being renewed every year.